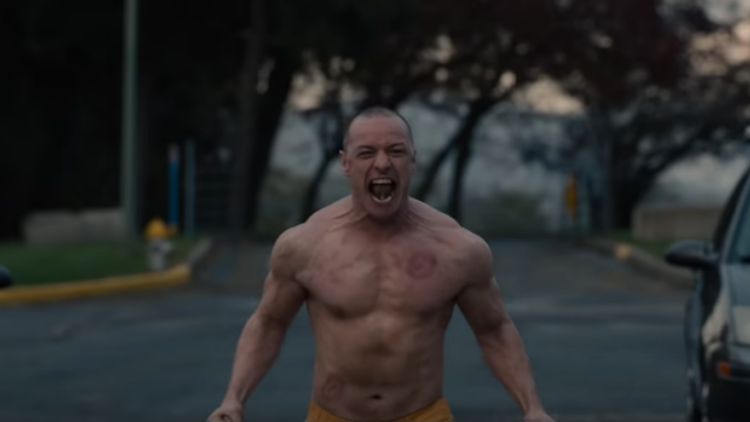 M. Night Shyalaman pulled off his best twist ending since The Sixth Sense when he revealed that James McAvoy's dissociative psychopath in Split was actually connected to Shyalaman's 2000 film Unbreakable. Now we've got our first look at Glass, which brings together McAvoy's Kevin Crumb with David Dunn (Bruce Willis) and Elijah Price (Samuel L. Jackson). McAvoy, who has always been kinda twinky (and then twunky) is now a full-on action hunk, looking extremely ripped which we are living for. And Sarah Paulson is there, making this officially a gay movie. Watch the Glass trailer below. Glass is in theaters January 18, 2019.